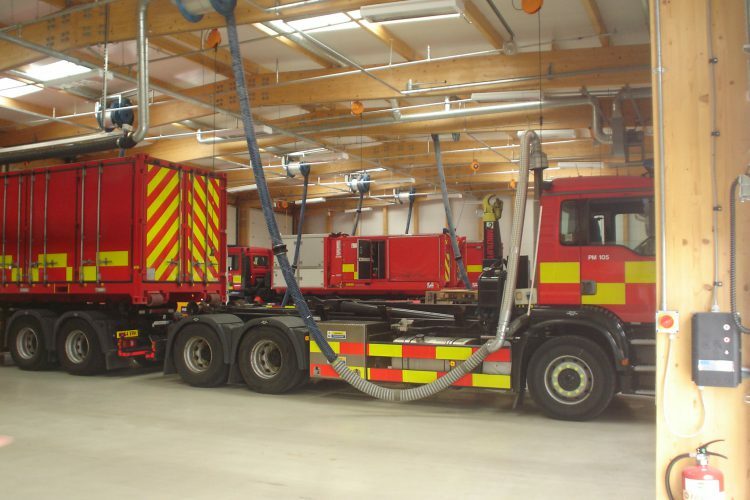 Avon Fire and Rescue Service is one of seventeen fire services which have been allocated equipment in the National Resilience Program, providing fire and rescue services with the resources to respond to major emergencies involving chemical, biological, radiological and nuclear events, search and rescue, large scale flooding and major transport incidents. 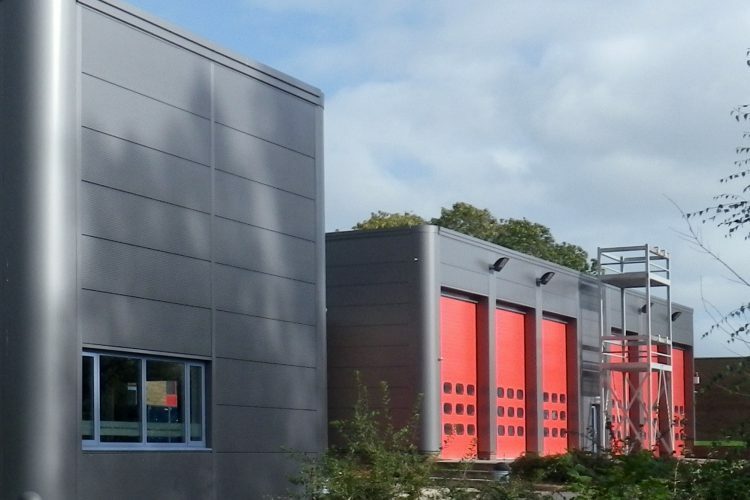 Following a Feasibility Study by Marshall and Kendon Architects, the new buildings on the AFRS site at Nailsea, include a garage for the new equipment and an administration building comprising offices, changing rooms and a community room. 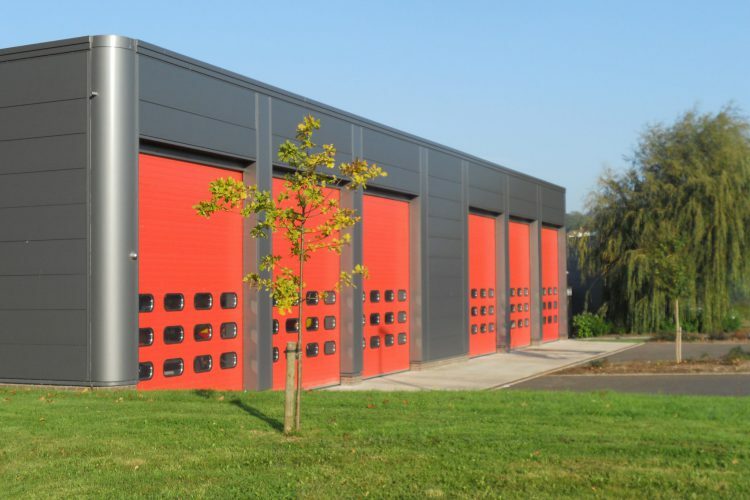 Both buildings are clad in composite steel panels, with the garage supported by large laminated timber portal frames and the admin building by high thermal mass walls, with the building naturally conditioned using exposed concrete ceilings and night time cooling. 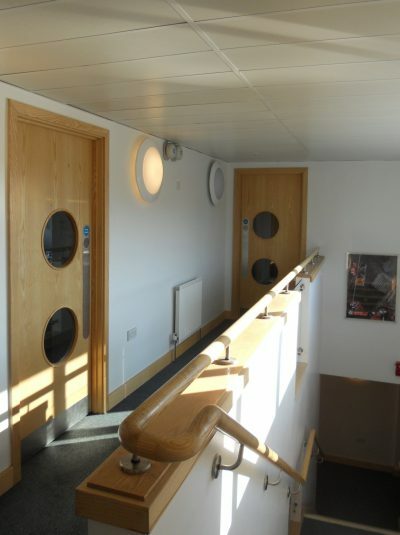 The project cost £1.4 million and was opened by HRH the Duke of Gloucester. “The design and built cost per sq. 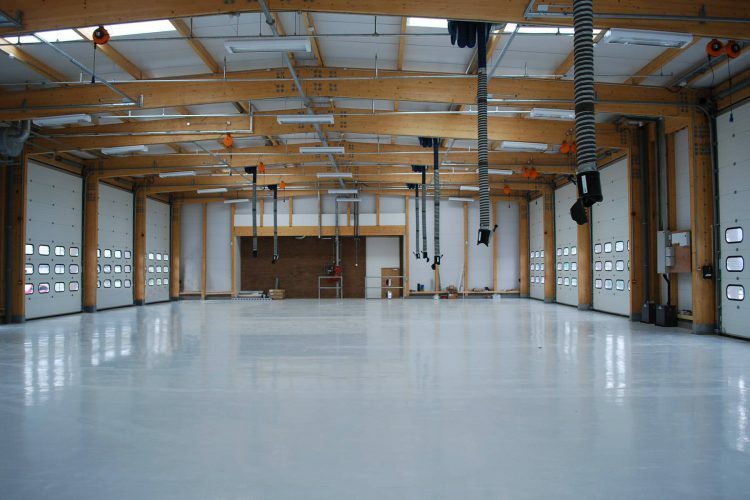 m offers excellent value for money – Costs in some cases are half those of similar size projects around the UK. Marshall & Kendon coped exceptionally well with the brief and all late and continual design changes as the project evolved.